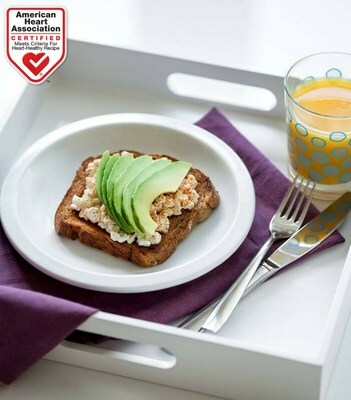 MISSION VIEJO, Calif., Jan. 7, 2019 /PRNewswire-HISPANIC PR WIRE/ — A recent nutrition study published in Nutrients revealed heart health benefits for adults who consumed fresh avocado at breakfast. Given heart disease is a leading cause of death among U.S. Hispanics,1 the findings offer timely inspiration for the millions of U.S. Hispanics working on a New Year’s Resolution to eat more heart-healthy in 2019. Researchers studied the results of 31 overweight, middle-aged adults eating one-half or a whole avocado as part of a breakfast meal in comparison to a control group starting the day with the same number of calories but a different ratio of carbohydrates to fat. Researchers found those eating avocado at breakfast experienced improved blood flow, vascular function, blood sugar levels and lipoprotein profiles, all key markers of heart health which in turn may reduce the risk of stroke and heart attack.